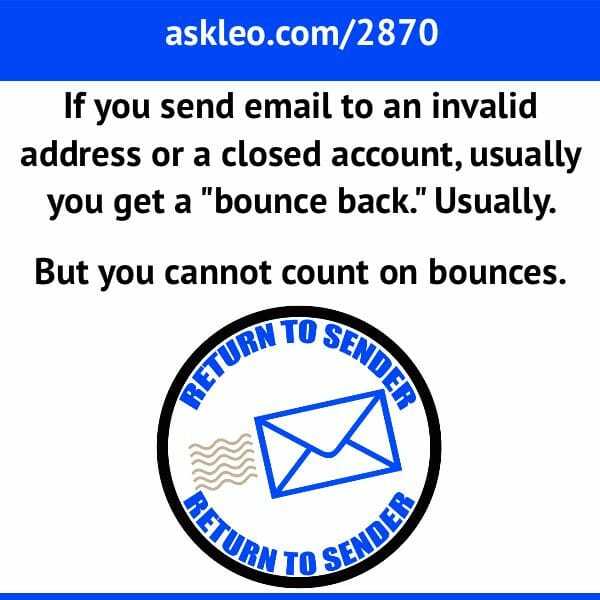 If you send email to an invalid address or a closed account, usually you'll get a bounce back. Usually. But you cannot count on bounces. - Ask Leo! Could someone reopen my closed email account? - After an online account is deleted, the ID or email address is eventually made available for re-use. It's the same name but a different owner, and that can confuse people.